Friday 22nd March saw one of our most eagerly anticipated events of the year take place – our annual Mothers’ Day Afternoon Tea. 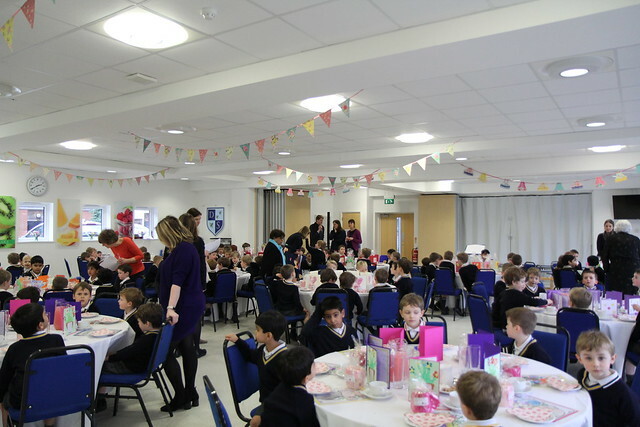 The Dining Room was transformed with bunting and decorated tables laden with some well-deserved presents for the Pre-Prep mums. Topping and tailing the event the boys sang as a group two new fabulous songs with the Year 2 choir performing the harmony for the final song ‘My M-U-M’. Reception boys pulled at the heartstrings with their song ‘Our Mummy’s are Lovely’, while the Year 1s performed two poems which they had written themselves. Having brought tears to the eyes of staff the previous week, the Year 2s using the melody of Bruno Mars’ ‘Count on Me’ sang their own song ‘There’s no Mummy like my Mummy’ which ensured that was not a dry eye in the house. A truly memorable way to end the week and we hope all our mums enjoy Mothering Sunday when it arrives.